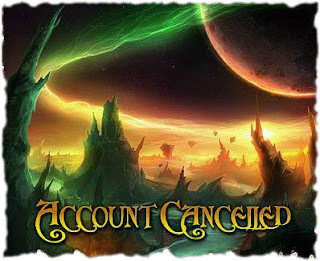 Anyways, I canceled my WoW account this week and I feel as though a heavy burden has been lifted from my shoulders. This isn’t to say I didn’t like the game, but more that I just didn’t have the time to enjoy it. I had thought about quitting for a few months now, but the realization that I had spent more time leveling a new priest to level 32 than I had playing Team Fortress 2 was the nail in the MMO-coffin for me. So much of WoW is grinding up to the point where you can start having fun; so little of it actually being fun in and of itself. It’s like working a really awful, tedious job for a really good discount at a sister store: it’s nice at times, but the tradeoff just isn’t worth it. Way to go my friend. Now you too can be counted among this happily un-addicted group of ex-wowers. Seriously though, the paragraph above basically sums it all up, and hits the proverbial nail on the head. I think most of us work enough as it is anyway without having to take on another job that we have to pay for.